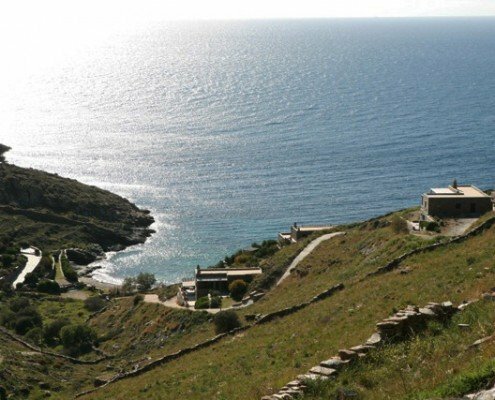 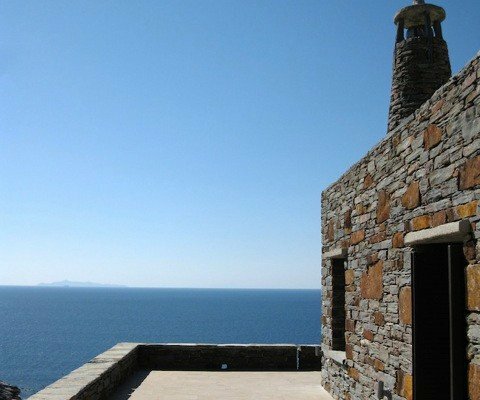 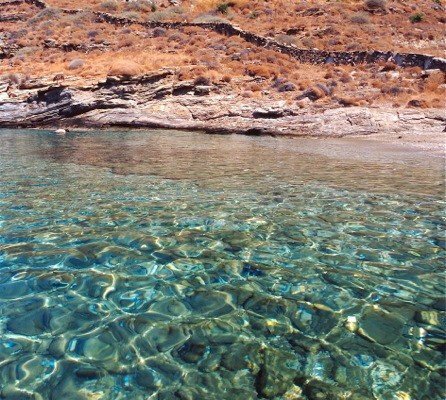 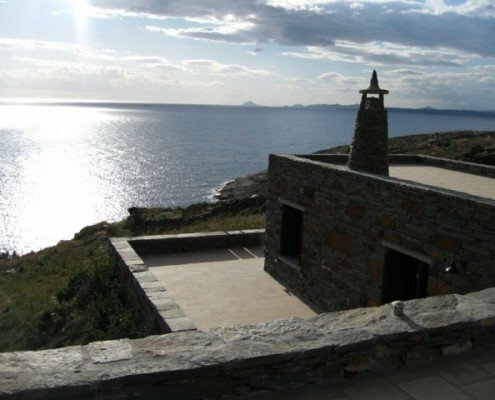 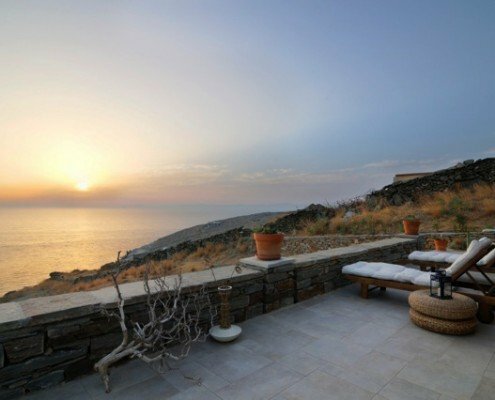 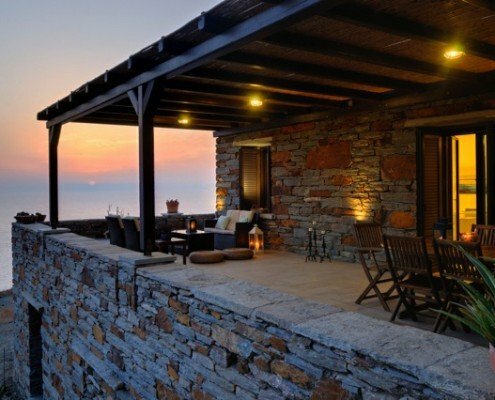 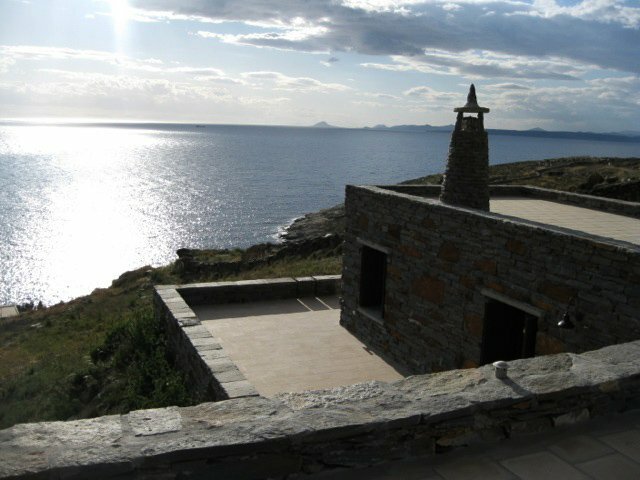 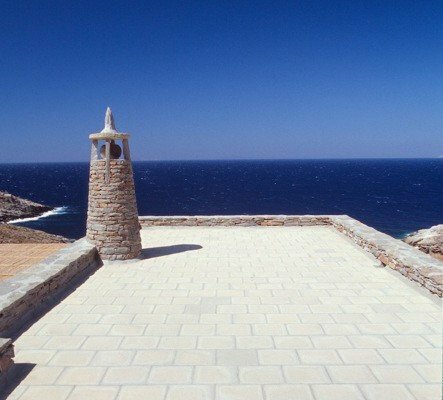 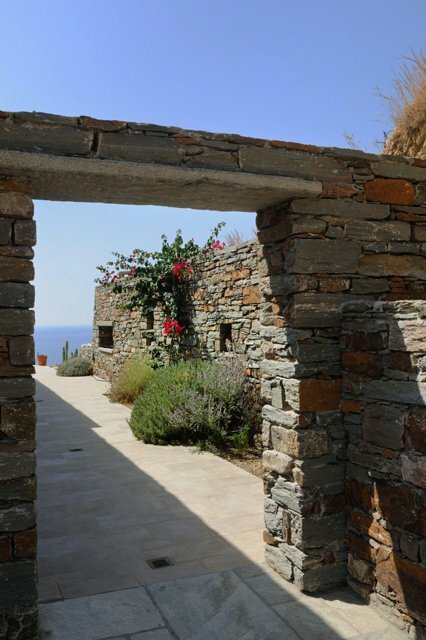 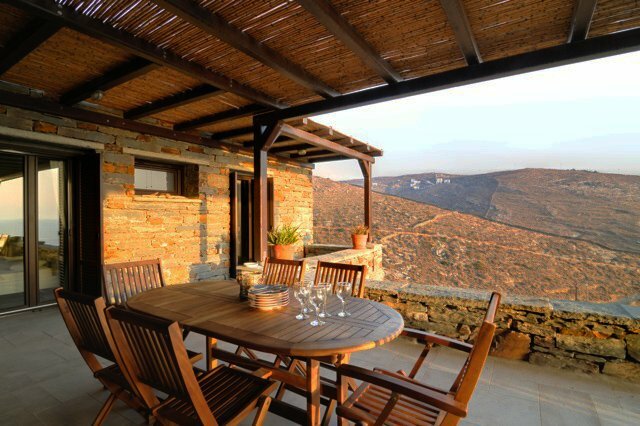 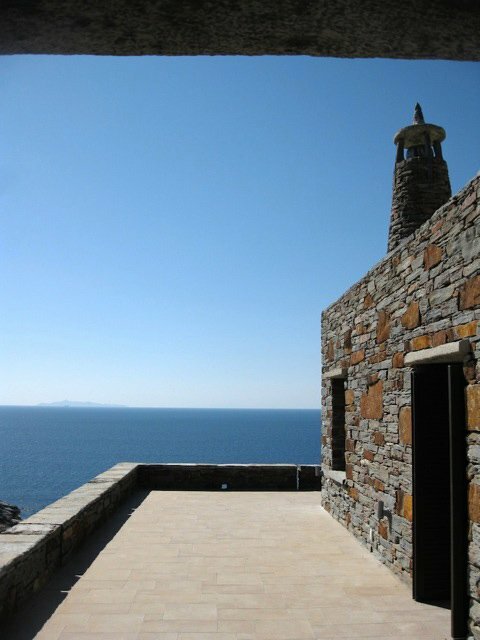 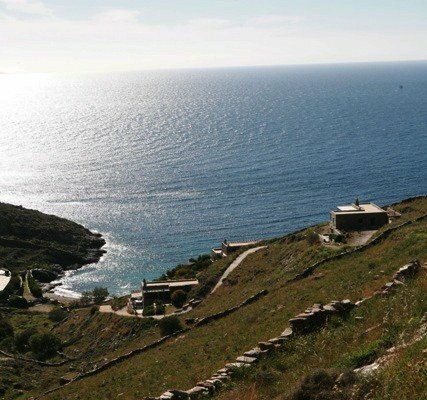 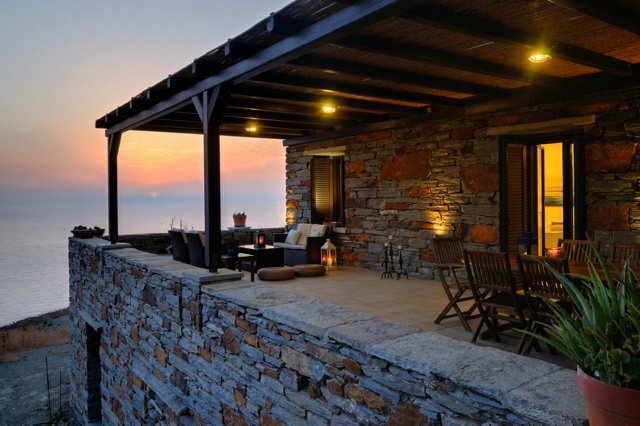 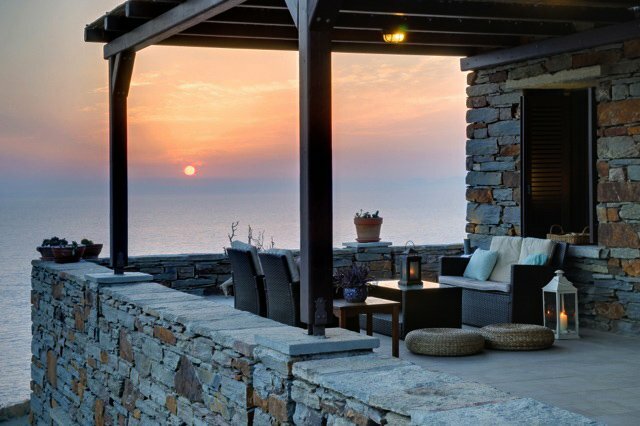 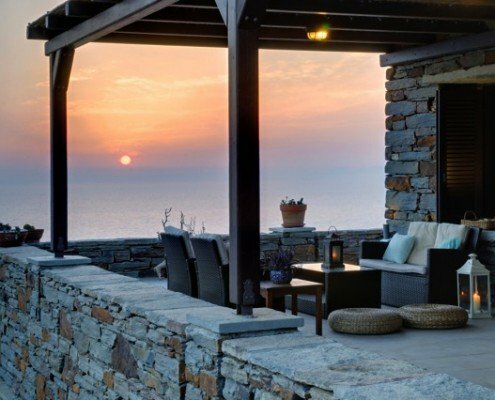 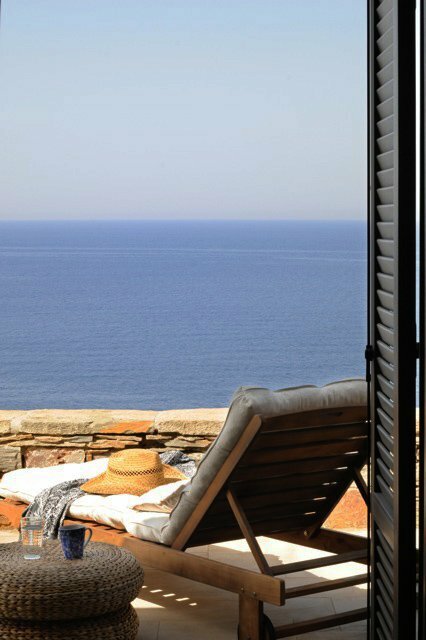 A luxurious new construction, water-front private stone-built villa on a Cyclades island, offering immediate accessibility from Athens. 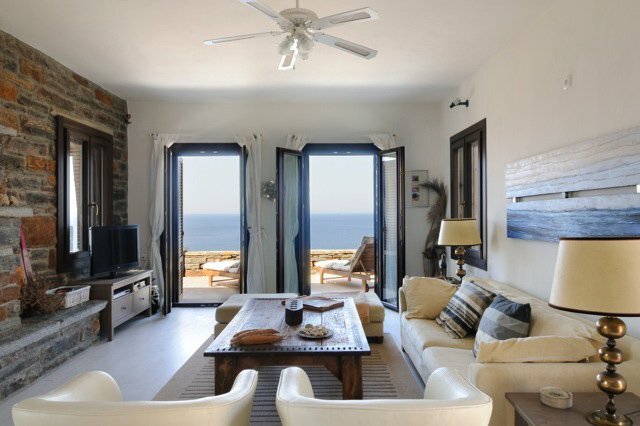 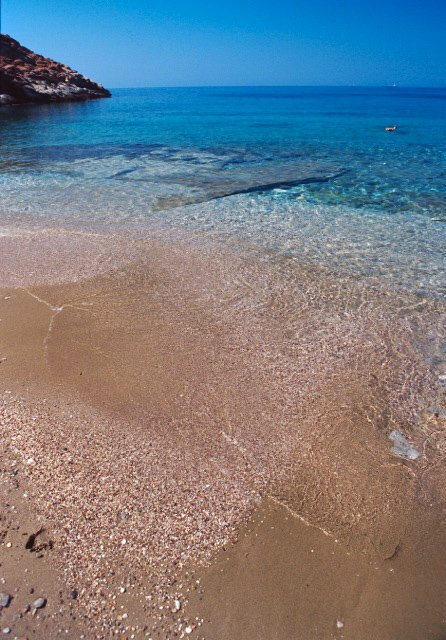 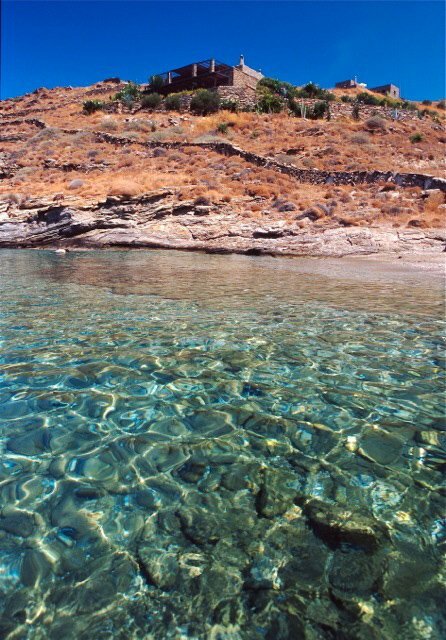 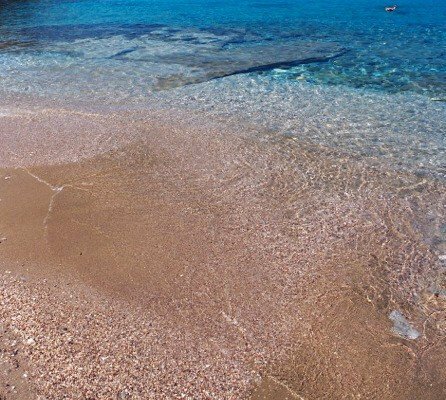 Located in a secluded bay, facing west, the villa benefits from an immediate access to a peaceful sand beach with crystal clear waters. 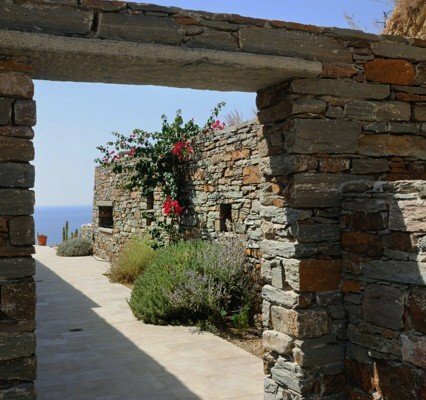 One of the very few available on the island with such proximity to the sea and access to a beach. 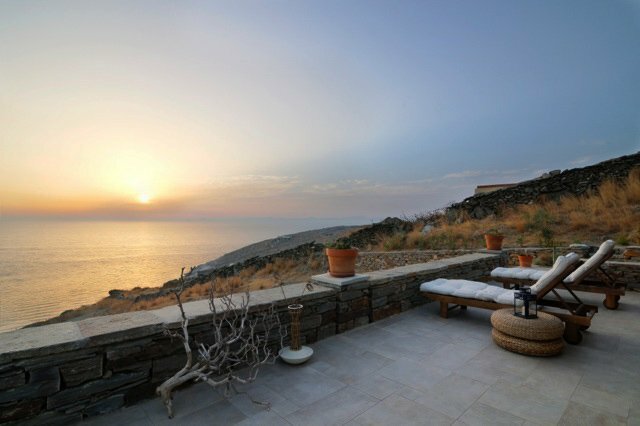 The property, sitting on its own plot 18 m above sea level, is a prime example of a villa blending perfectly with the surrounding environment, while offering panoramic views through extended external living spaces. 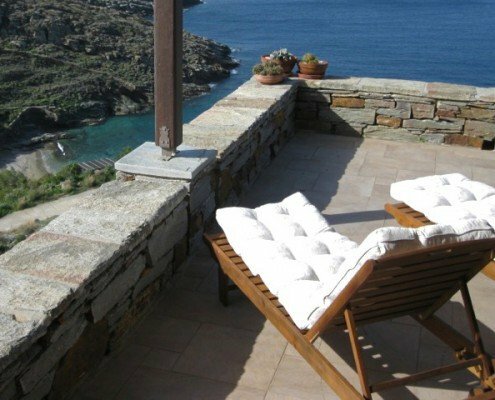 While it can certainly be classified as a retreat, it is only a short drive from the island’s vibrant areas. 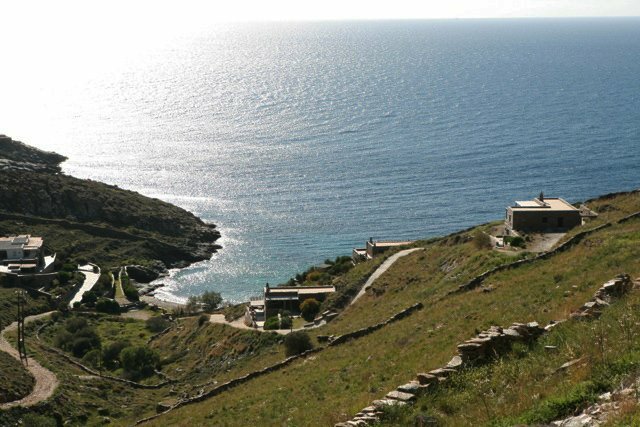 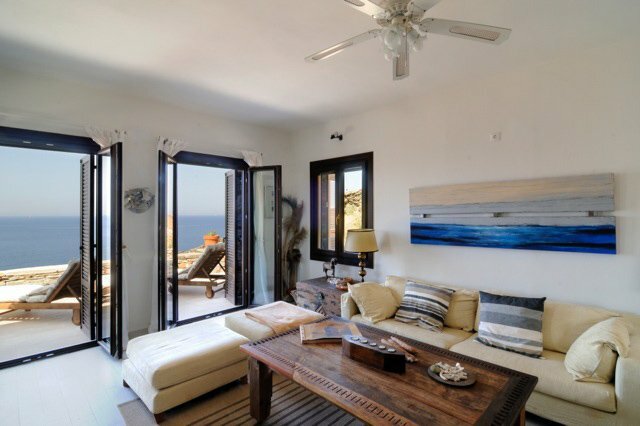 The villa is divided into two independent main levels and an independent guest house. 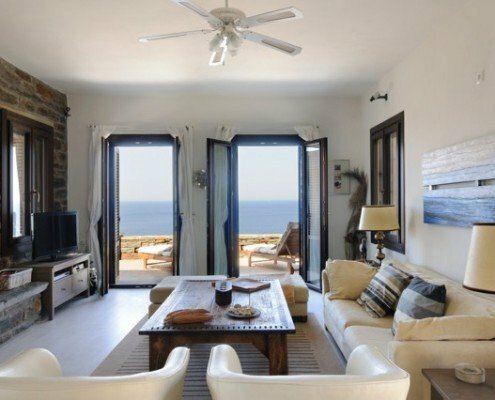 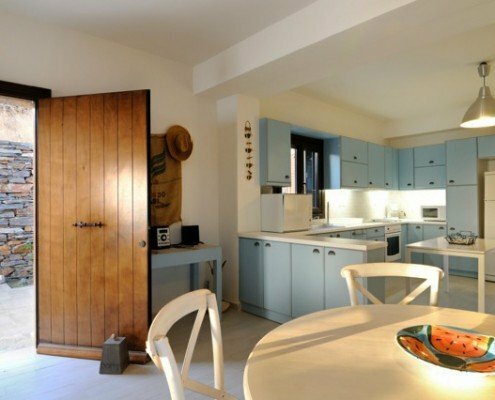 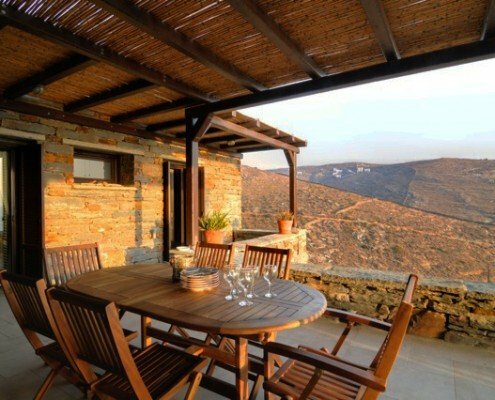 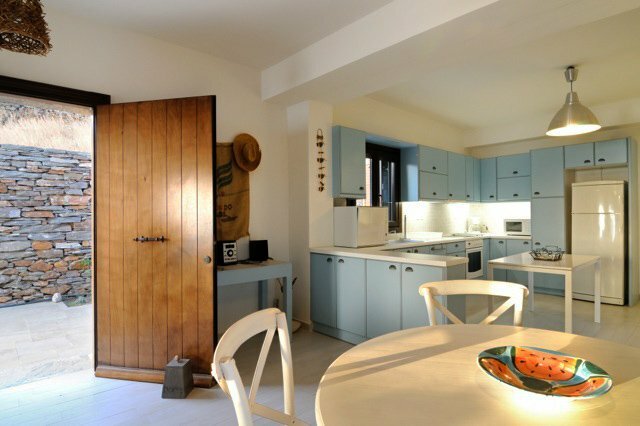 The villa’s upper level (135 m2) and the guest house (35 m2) have been finished to high technical standards & materials to provide comfortable living throughout the year. 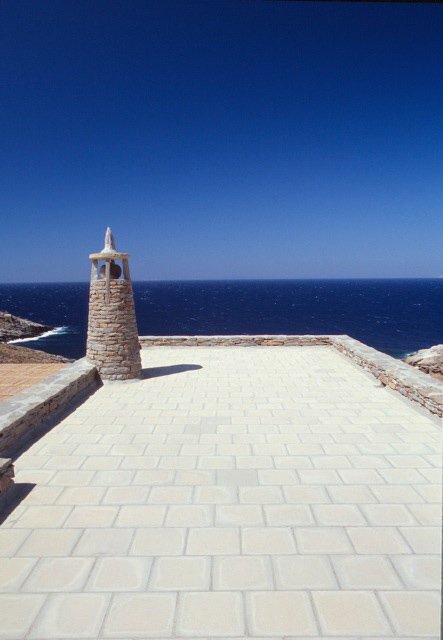 The villa’s lower level (107 m2) has been partially finished, while provisions have been made for a pool. 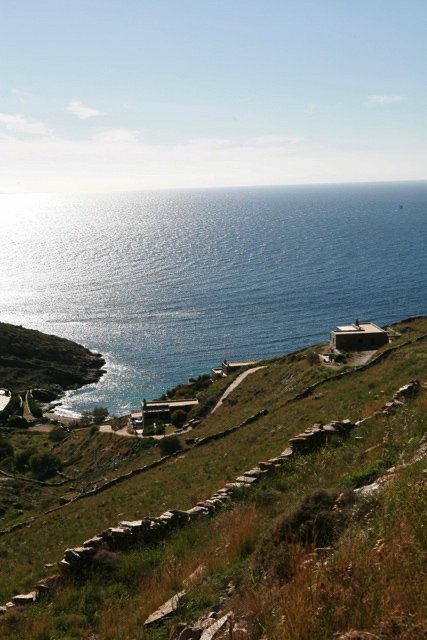 The surrounding area has been characterized as an archeological site, hence preventing any further construction activity in the area.